Demand for biomedical engineers is projected to grow a whopping 62% between 2010 and 2020. 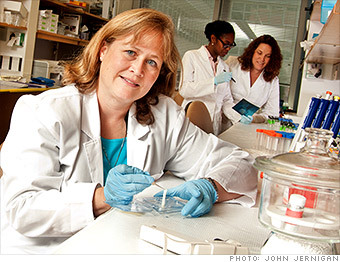 What other careers on CNNMoney and PayScale.com's list of America's best jobs will see big opportunities? Note: We looked at jobs from the top 100 with the highest 2010-2020 growth rate. When there were multiple job titles from the same "job family," we selected the job with the highest median pay.